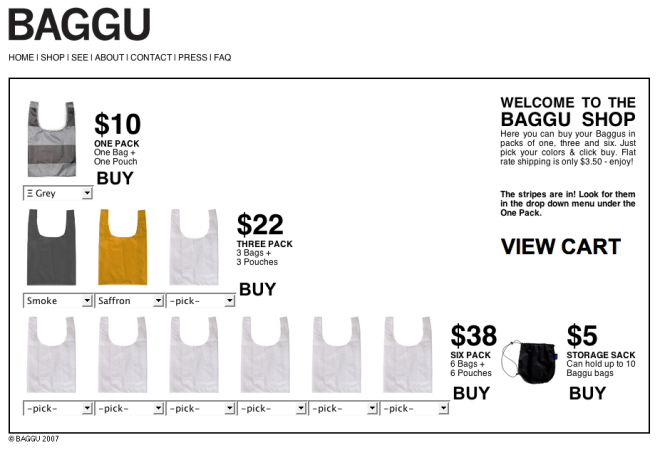 Baggu sells reusable shopping bags. Their shop has a simple interface that makes it really easy to visualize what you’re purchasing. Reusable shopping bags are a good way to cut down on our consumption. I bought the beautiful gray one from BagTheHabit for my girlfriend for Christmas.